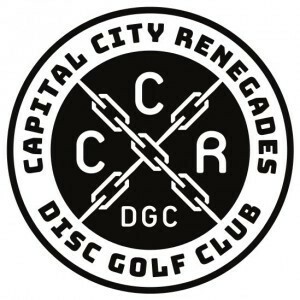 Welcome to the About page for Discraft's 2019 CCR Open. Will Jomez be here filming the Pros? Yes. Can you follow along on Udisc? Yes. Saturday: 2 rounds at assigned courses below. Round 1 begins at 9 am, round 2 for those traveling will be 90 mins after round 1. A Pool Round 2 will start 45 mins after last card turn in from the 1st round. Lunch will be provided free of charge for all players at Burchfield. Sunday: B and C pool tee off at 8 am at assigned course. A pool will have Tee Times starting at 10am. Following the 3rd round Awards for Pros and skins raffle for top 4 MPO finishers and 4 lucky raffle winners. Am payouts will occur before the skins match. (more info on skins raffle below). Skins Raffle: Through out the course of the weekend, we will be selling Raffle tickets for entry into the 5 hole skins match and other items. The Skins match will consist of 5 safari holes on Renegades Trail. The top 4 finishing MPO players will be paired with 4 lucky raffle winners, each hole worth $100 to the MPO player, each raffle winner receives a ChainStar Lite ($125 value) and the opportunity to play with one of the top Pros. (Please note: this is a change from previous years. Raffle winners will no longer be playing for cash, unless the MPO player wants to share their skins winnings). However, each raffle winner is guaranteed a ChainStar Lite. Saturday night Player Party info to come.